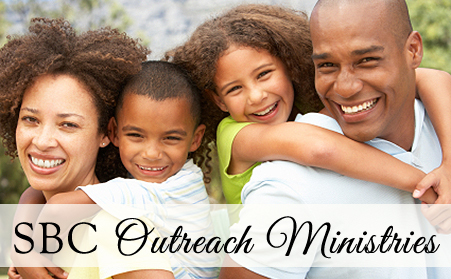 Shiloh’s Outreach Ministries are designed to not only impact the members of Shiloh but also reach the least, the lost, and the left out in our community. These ministries are designed to connect individuals with the Kingdom of God and Jesus Christ through care, concern, compassion, and consideration. The Benevolence/Grief and Bereavement Support Ministry helps ease the burden of bereaved families by extending a hand, words of encouragement, floral tributes, support, and any other aid that is needed during the bereavement period. The Compassion Ministry provides food, clothing, outreach, support, and assistance to families and individuals who are in dire need. The Evangelism Ministry aims to go out to all communities and share the Good News of the Gospel of Jesus Christ. Each Quarter, the evangelism ministry sponsors our FRAN-gelism (Family, Relatives, Acquaintance, and Neighbor) outreach to our community, friends, and loved ones. Financial mentoring through FUND partners good money managers with those who are facing financial or budgeting challenges. Ministry participants learn and share biblical principles that develop healthy fiscal management and stewardship. If you desire financial wisdom for yourself and others, this ministry is for you! The Prison Ministry seeks to address the spiritual, social, and emotional needs of incarcerated men and women. To assist in the successful re-entry of citizens into community. The Sunshine Preschool and Learning Center provides professional educational services for preschool boys and girls for the enhancement of reading, writing, and mathematics. To assist those seeking spiritual assistance, support, and pastoral consolation.